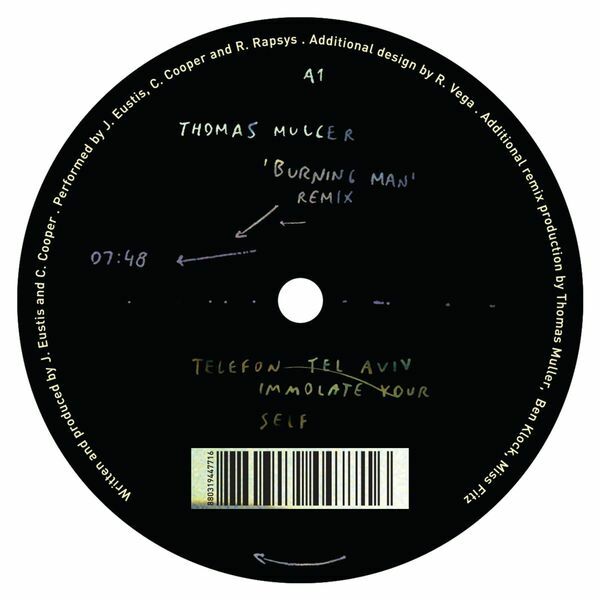 Techno-fied remixes of Telefon Tel Aviv's 'Immolate Yourself' from the BPitch album of the same name, from Ben Klock, Thomas Muller, Miss Fitz and Sascha Funke. Klock's 'Jack Mix' is the one, deploying boulder shaped kicks offset by itchy percussion and swerving , insectoid percussion. Muller's mix will do nicely for the darker tech-house floors while Funke and Fitz give variations on a melodic minimal theme.